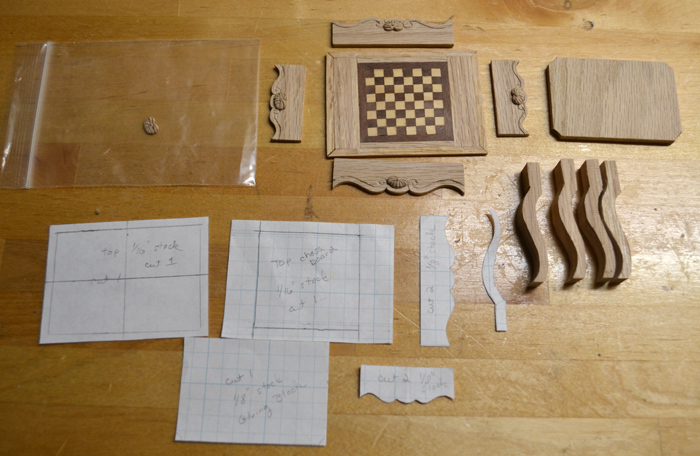 The idea to make my own 18th century chess set came first. 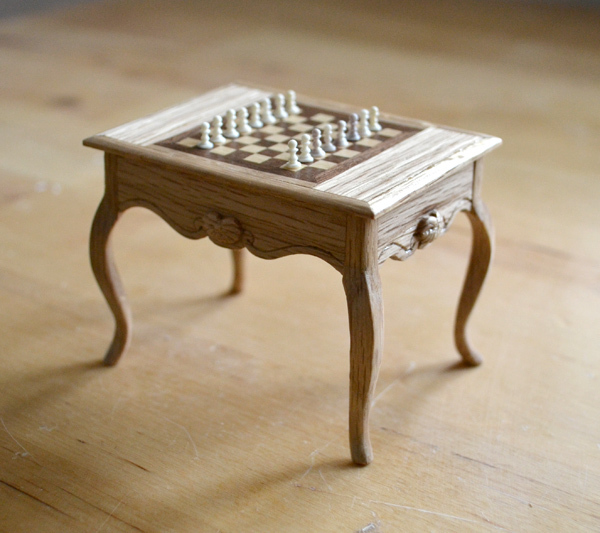 But there has to be a game table even before the chess set. This is the second piece of furniture I've made and got to practice cabriole legs, mini wood carving and marquetry for the first time. 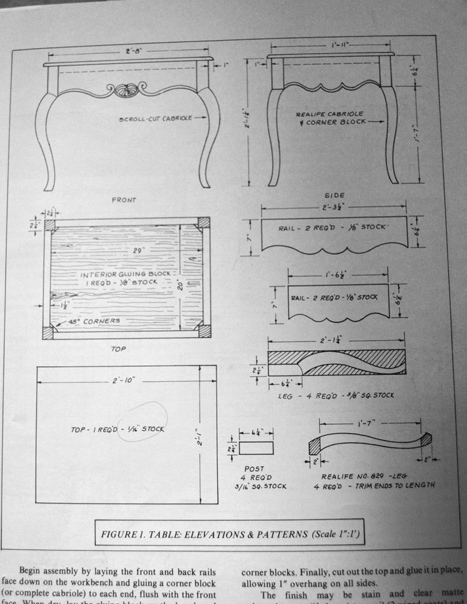 The basic pattern came out of The Scale Cabinetmaker Magazine Vol. 12 #4 and I added the chess board top. The woods are walnut, white oak and a light colored wood with little grain that was in the wood scrap box, probably basswood. Have decided that whenever I make a piece of furniture - to make two. One piece to make my mistakes and to keep and one, hopefully, to not have those mistakes. Photos of the chess table progress. The magazine recommended a matte polyurethane finish. Hmm. 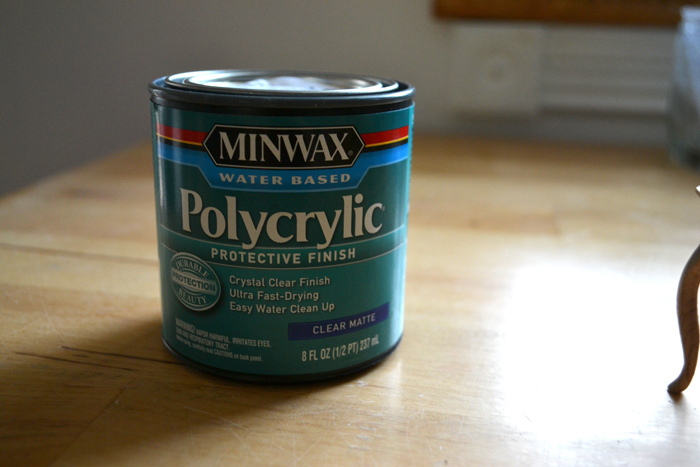 The only matte clear finish I found was this Polycrylic. Tried it (three coats, sanding between coats) and it did a very nice job. It dries super quickly. You can handle and sand the piece within 20-40 min. with no stickiness or danger of fingerprints. I will use a wood filler on the second table though. Tip on this stuff - stir it well - do not shake the can. I used a paintbrush to apply it and the finish evened out with no brush strokes.